Taken from the east in 2015. 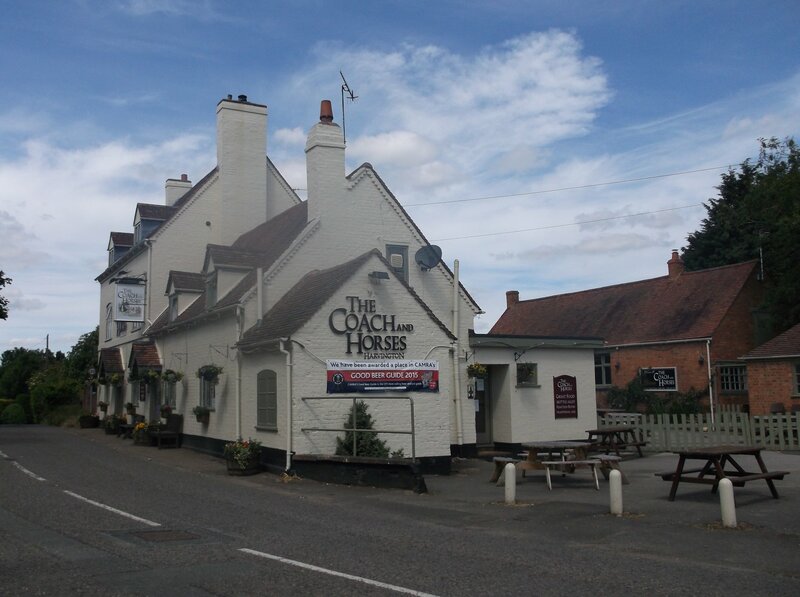 The Coach and Horses stands in a square plot of land of approximately two thirds of an acre within the Conservation area of Harvington. It is situated in the heart of the village at the junction of the old road to Stratford and an ancient salt way rising from a ford over the river Avon, a natural site for a coaching inn. The present building from the outside does not suggest any great age. On the inside however the story is very different. There is evidence of a much older structure within the present building. How long there has been an inn on this site is not known. The first Innkeeper so far found is Joyce Tobey in 1718. The building fronts onto Church Street with its range of outbuildings set behind. The whole presents a fairly uniform construction in local red brick dating roughly to the mid to late 18th century. 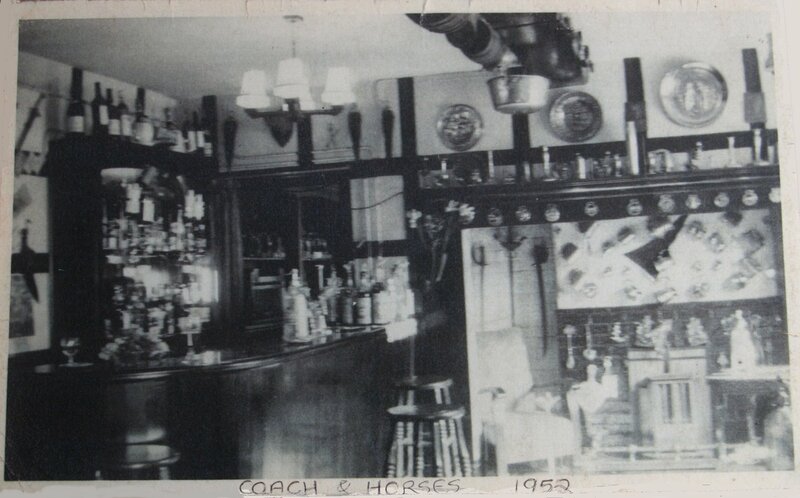 Coach and Horses in the early years of the 20th century. The main rectangular block is tall, two storeys high, with a steep pitched roof in which dormer windows indicate a third floor. There is a slight L-shape at the rear to include the internal stairwell. From the front it is symmetrical in that the front door into the lounge bar is centred with windows to either side. There are chimney stacks at either end, the one at the east end being the larger. To the east is a two story extension, again with dormer windows and it appears from the outside to be built with and integral to the main block. Its separate front door leads to the public bar. There is evidence on the outside, that this extension once had another more centrally positioned door. On the east wall there is another chimney. The building is extended again to the east with a smaller and narrower brick annexe. The brickwork on this annexe is not tied in, which suggests that it was added at a later date but still before 1838, as indicated on the map below. The windows throughout are relatively modern with one large sash window at the rear and a double length window in the stair block. Upon inspecting the inside however it is clear that we are dealing with a much more complicated and multiphase building of greater age than would appear from the outside. Behind the main building are various single storey structures of varying ages. The recently modernised once detached barn to the rear, along with its two chimney stacks and a hay loft, appear to be of the same age as the main block. 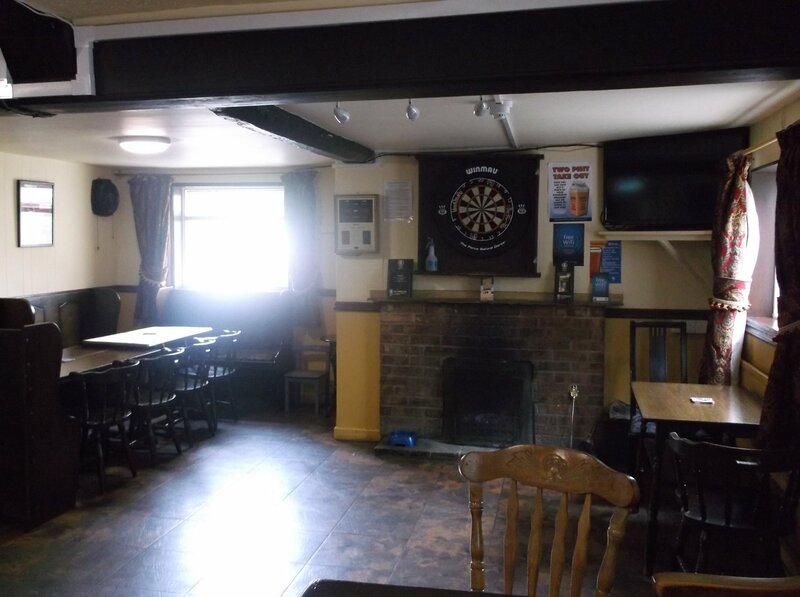 Unlike many pubs, the interior has probably not altered substantially in decades. 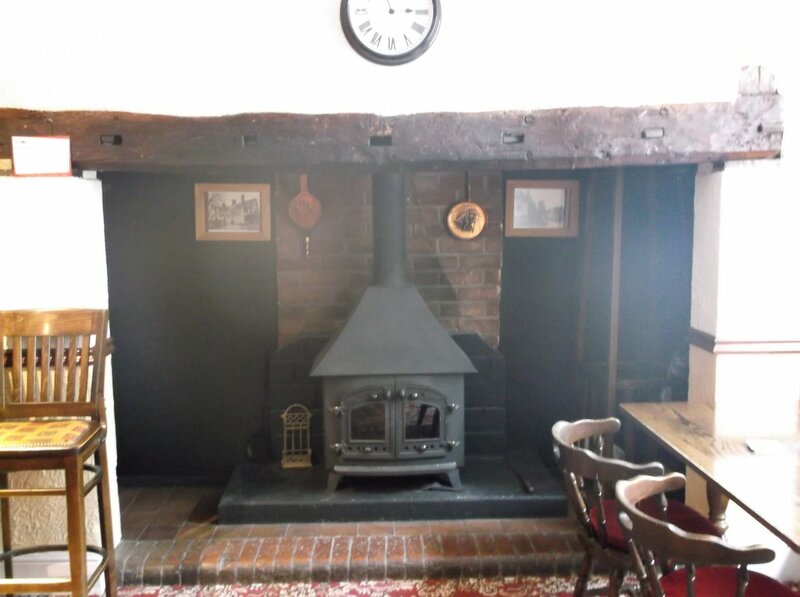 There is a lounge bar with an inglenook measuring 9ft 8in across by 5ft 8in high. The inglenook effectively divides the pub into two, one enters the lounge and public bars via separate entrances from the road. This arrangement is now rare, and helps to illustrate the growing uniqueness of this pub. The lounge bar in 1952. The present lounge bar has remained substantially the same since the above photograph was taken in 1952, but now without the clutter. The exit to the rear is opposite the front entrance and there is a possibility that there was once a corridor separating the lounge into two rooms. The inglenook in the lounge bar. 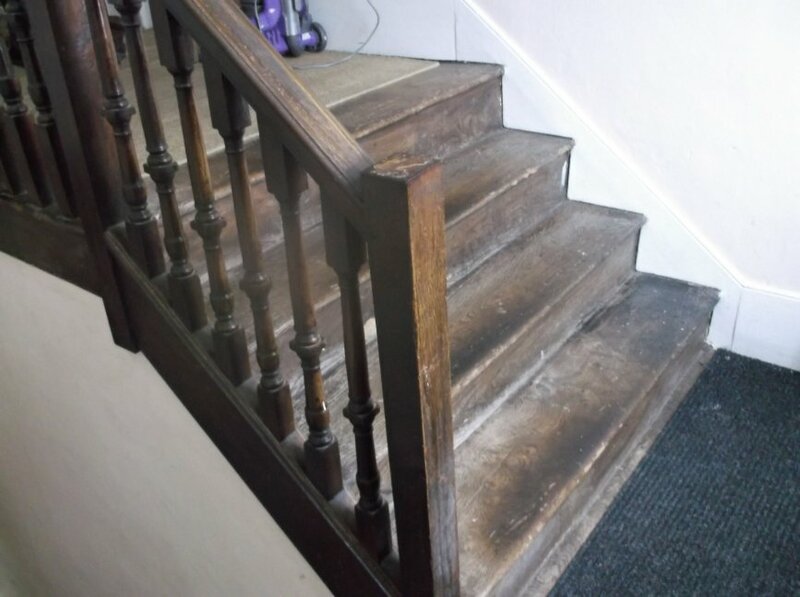 The Beginning of the staircase with its plain newel post. Under the left-hand side of the lounge, there is a cellar approached from the side of and under the stairwell. 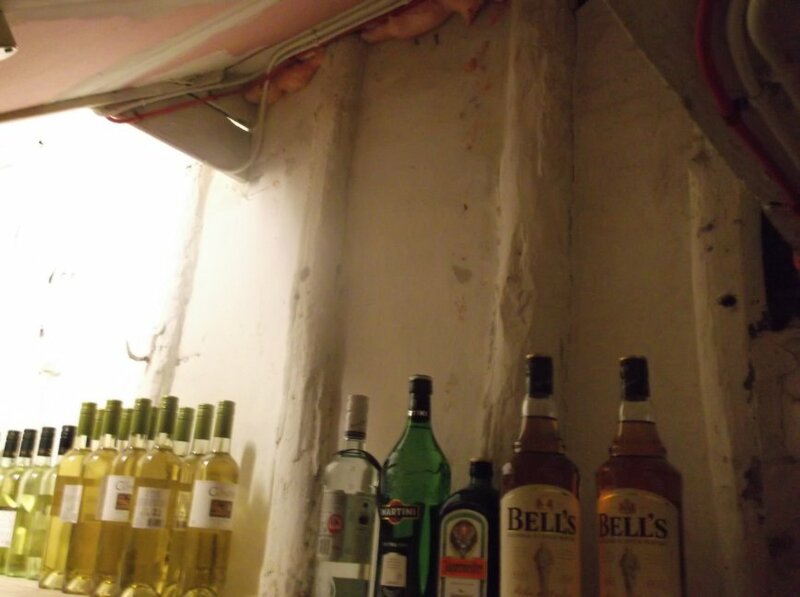 There is evidence that the original entrance to the cellar was from within the lounge. 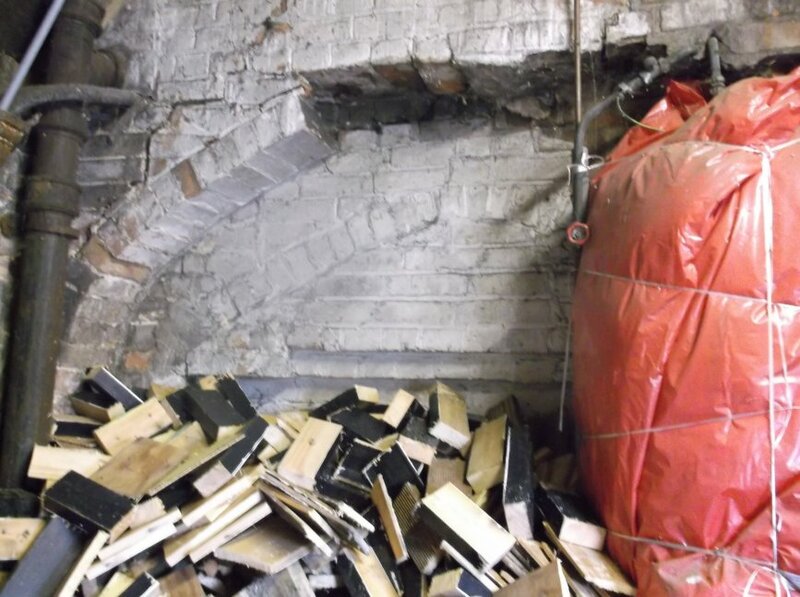 The cellar is now reduced in size with a lining of breeze blocks and is now full of machinery and pumps etc. Upon descending into the cellar, one is struck by the above ground survival of wattle & daub panelling and rough hewn timber uprights made out of suitably-seized branches. White-washed panelling on cellar steps. The main block contains two large bedrooms on each floor. 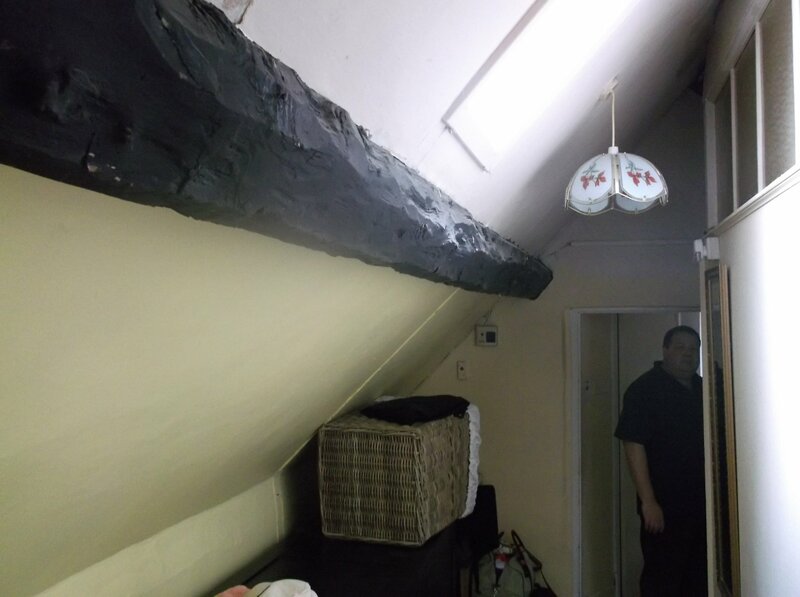 The floors, where seen, are graced with fine wide oak floor boards, On the top floor are exposed fine old purlins (horizontal supporting timbers halfway up the roofline) and ridge timbers. The only way into the first floor of the extension is via one of the bedrooms (now a living room for the landlords) on the first floor of the main block. One has to step down into a roofline corridor at the rear of the building ending in a bathroom with partitions on the right leading to bedrooms. As one steps down into this section, the immediate impression is of a much older building than one was lead to believe from the outside. Only purlins and some ridge timbers are exposed, most of them large roughly hewn tree trunks, some which have just been stripped of their bark. The east wall of the extension is heavily boxed thereby restricting access to the structure behind. On the ground floor of the extension is the public bar with a covered stone floor. The public bar again presents an air of originality. The bar and atmosphere of the room harks back to an earlier cosier age. 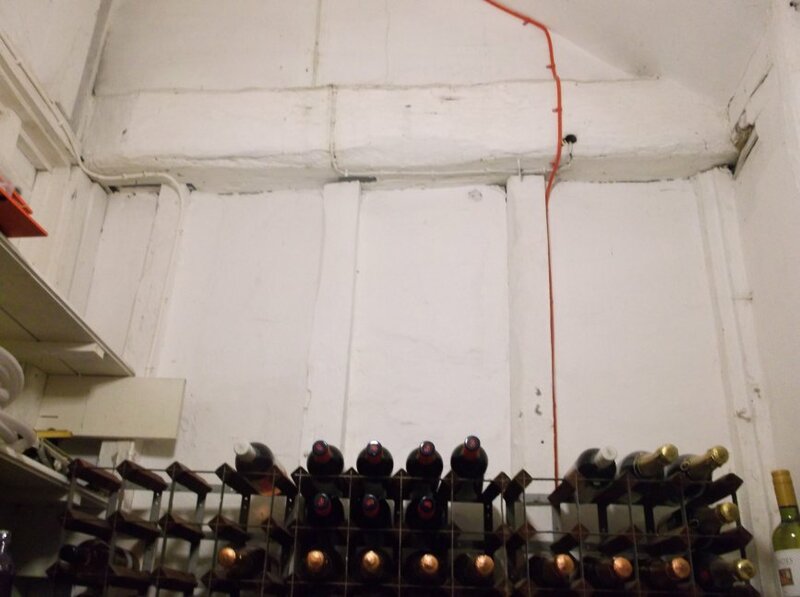 At the end of the bar is a hatch, which was used when a small portion of the bar room was separated and used as an off licence. On the east wall towards the front is an ordinary looking 20th century fireplace set in what appears to be a fairly substantial chimney piece. The whole of the east wall is boxed so it is not easy to understand what is behind. On the backing wall in the adjacent attached annex, there are two arching rows of bricks supporting an inset at a height of about 4 to 6ft. Was this a bread oven to a range in the now public bar? This leads to the possibility that the eastern part of the public bar was at one time a kitchen graced with a range, the present kitchen is in the probable Victorian extension at the rear of the main block. used as a wood shed. William John Baldwin was the landlord from 1905. He was also the village undertaker and he carried on his business from the present function room. The table in the public bar was used to lay out the corpse. It was last used for that purpose when Mr Bromley died in 1934. 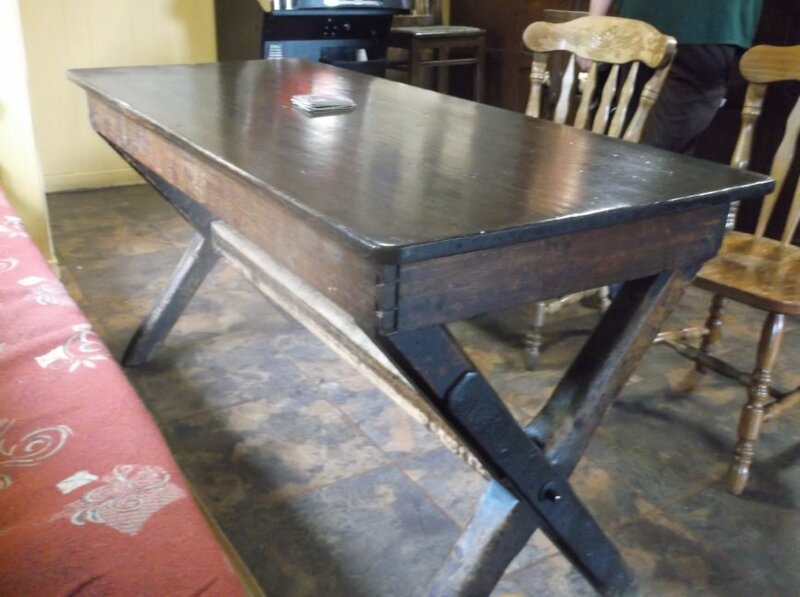 The undertaker's table, note the reinforced struts. The following list of Landlords was compiled by a previous Landlord and is displayed in the lounge. William Emeny was still the landlord in 1881 and died in 1882 aged 62. In 1939 the 'Coach and Horses' was occupied by Sidney and Elizabeth Fakes and at some stage belonged to the Cheltenham Brewery. 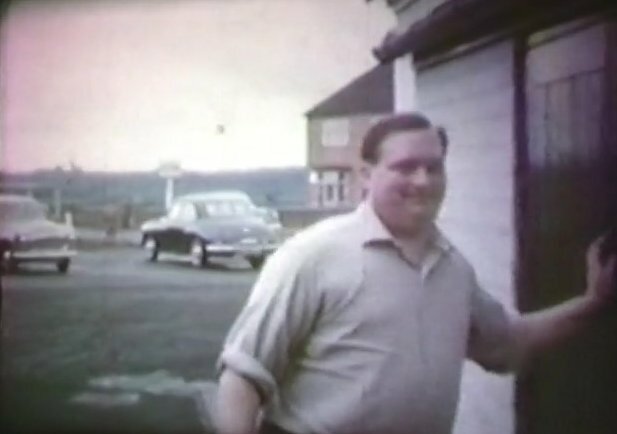 They had a girl called Myrtle. Elizabeth died and Sidney married Hilda. After he retired he moved to Welford. The Coach and Horses Sign and Name. The old Coach and Horses sign - before restoration. The old Coach and Horses sign - after restoration. Steven & Diana Salter, the landlords, found this fine old sign in one of the recesses of the pub and in 2014 had it displayed high up on a wall in the function room. The painting was on wood set within a wooden frame, was much weathered and possible to for one to discern with ease the full picture of the four-horse coach, coachman and at least seven passengers, plus the background. The scene suggests Regency and on the far left is a road marker depicting 'London 101 miles'. One of its features is that it is one sided, which suggests that it was intended to hang against a wall. It is depicted in old photographs as hanging above the main entrance at right-angles to the pub facing down Church Street. Unfortunately there appear to be no old photographs taken of its reverse side. In 2016/7 it was decided by Steve and Di with the help of Mike Clements, to arrange for the painting to be restored professionally and the restored painting was unveiled at the Coach and Horses on Tuesday 12th December 2017. The artist is unknown or when it was painted but a study of old photographs helps us to narrow when it was hung outside the pub. A photograph depicting the Coach & Horses, plus the house 'Croftlands' built by the Bromley Family in 1934, shows the sign supported by a decorative iron support. The sign is still hanging in another photograph thought to date to circa 1960. Early photographs dated to 1900/10 depict an array of signs of which our sign does not appear to be one of them. 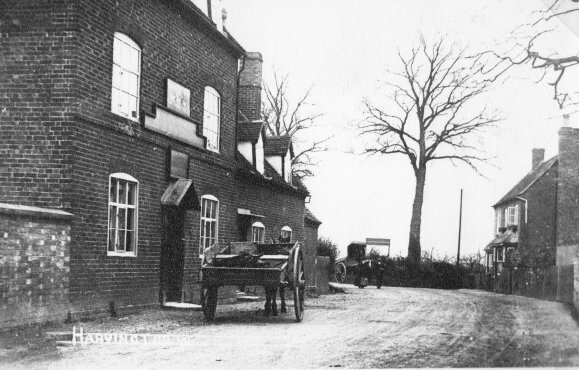 William Bromley was the village Undertaker and Landlord of the of the pub from 1905 to 1934 and it is highly likely that the sign dates from his time. The Census of 1841 records James Shailer aged 40, as Victueller of the Coach and Horses Inn. The outside suggests a date roughly mid to late 18th century, however, buried within the building is clear evidence of a much older structure. 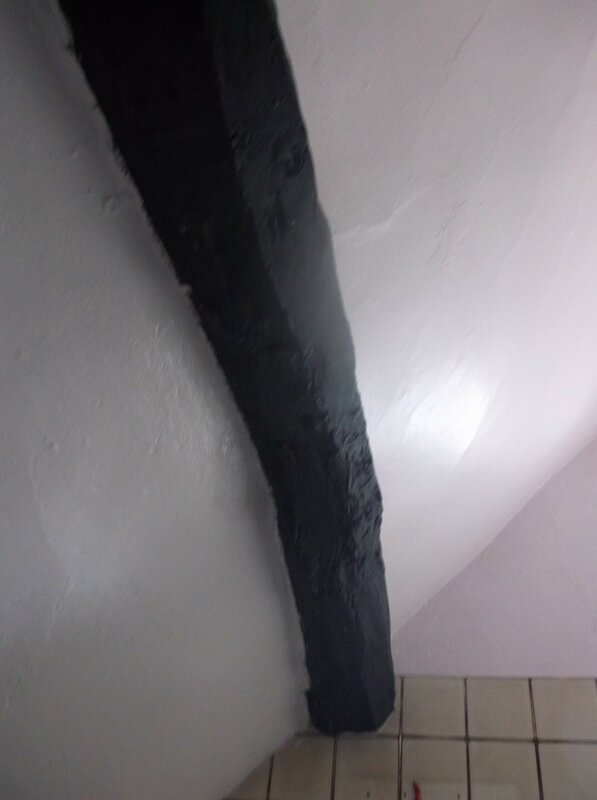 The evidence from the cellar where one can still see wattle & daub along with large beams and smaller rough hewn uprights; the walk-in inglenook is further evidence, and then there is the extension which is clearly of an earlier date. 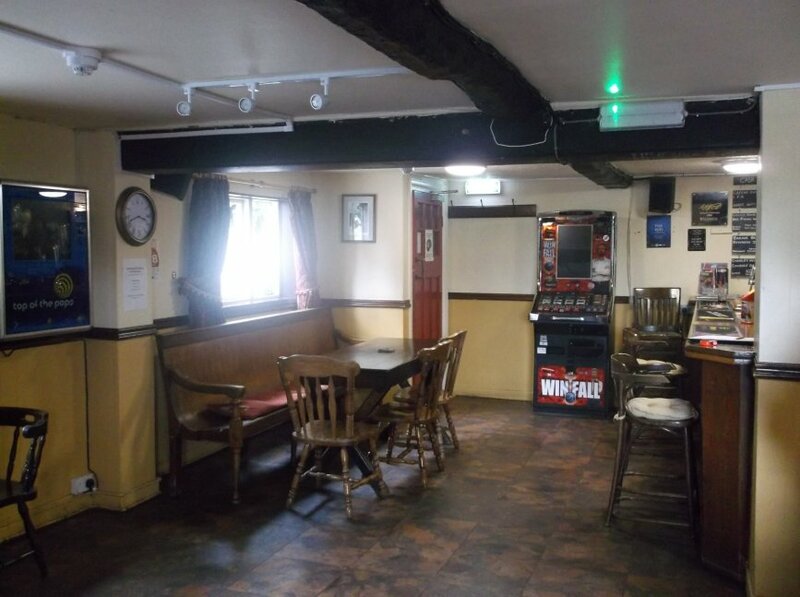 At present the pub is well maintained by Steven and Diana Salter and is a popular venue for the villagers. Julian Rawes, Crooked Walls, 2015.